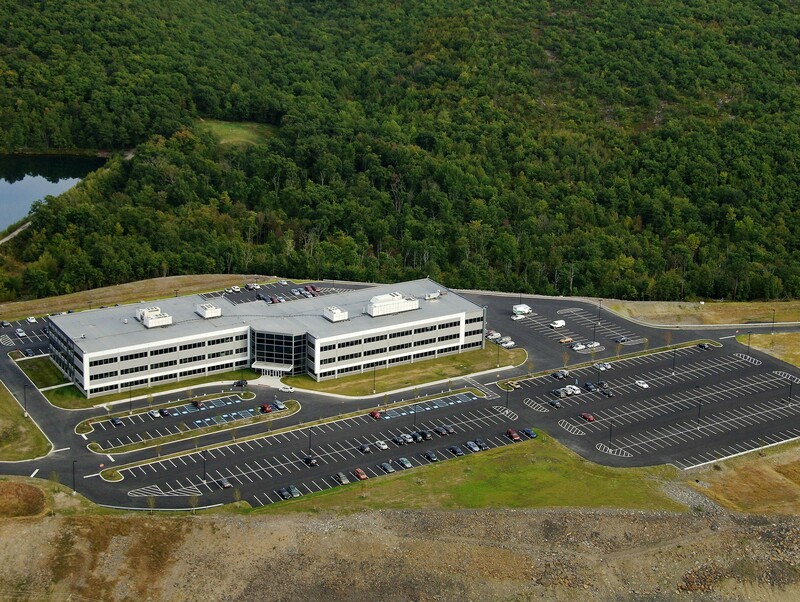 March 2013 - Blue Rock Construction, Inc.
TMG Health selected the team of VerusPartners and Blue Rock Construction to develop its 150,000-square-foot office and call center located in the Valley View Business Park in Jessup, Pa. 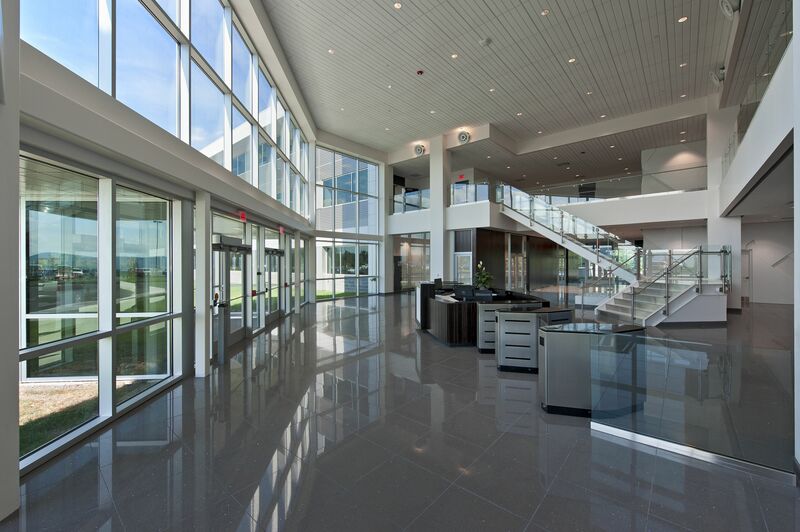 The collective vision was to develop a building that was inviting, comfortable and attractive for TMG’s projected 1,000 employees. The project took full advantage of the site’s elevation that overlooks a beautiful mountain reservoir and the valley below. TMG Health is the primary national provider for processing Medicare, Medicaid and Blue Cross/Blue Shield health-plan claims. Since TMG works with confidential medical records covered by the Health Insurance Portable and Accountability Act’s privacy code, employees and visitors are required to check-in through the secured lobby prior to entering the second and third floors. 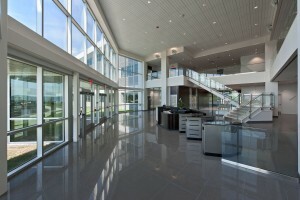 The building’s first floor, which is dedicated to support services, includes a full-service kitchen, training rooms, data center, mail room and a spacious two-story lobby. Blue Rock served two roles for the completed development of the TMG Health project. First, as the design/builder of the core and shell for VerusPartners, and also as construction manager for TMG’s tenant fit-up. With VerusPartners, a property development company based in Chicago, Blue Rock’s architectural design firm, Environetics, created a contemporary core-and-shell design that would effectively house TMG’s functional requirements. The Palumbo Group, an interior design firm in Scranton, Pa., designed the building’s interior elements to be environmentally sensitive with natural materials that bring warmth to the space. TMG President Jack Tighe assigned four TMG employees to monitor construction progress. Tighe was a constant behind-the-scenes inspiration and is very pleased with the finished product. “We had an aggressive schedule and felt that Blue Rock Construction did a great job”, said Tighe. Jim Whitehead, Blue Rock Construction’s project manager, had the challenging responsibility of working with two design teams to create an integrated product. Whitehead also coordinated the transition of core and shell to tenant fit-up with both owners, VerusPartners and TMG Health, to ensure all requirements were satisfied as the building progressed. The site was delivered pad-ready by SLIBCO prior to the start of construction. Since the site is long, narrow and situated on the ridge of a hill, many elements had to be dealt with including high winds, freezing temperatures and rock. A rock crusher was set up on site to pulverize stone to be used where needed. Once the rock was removed and the area flattened, placement was determined for the building to receive the most sunlight and provide the shortest walk from the parking lots for employees. The construction phase started just before the winter months and was limited to nine months to meet TMG’s aggressive move-in schedule. Architectural metal panels were used to speed the building enclosure during the coldest months of the year. Pennsylvania’s Redevelopment Assistance Capital Program is a state grant program for acquiring and constructing regional economic, cultural, civic and historical improvement projects with rigorous protocols for project management. 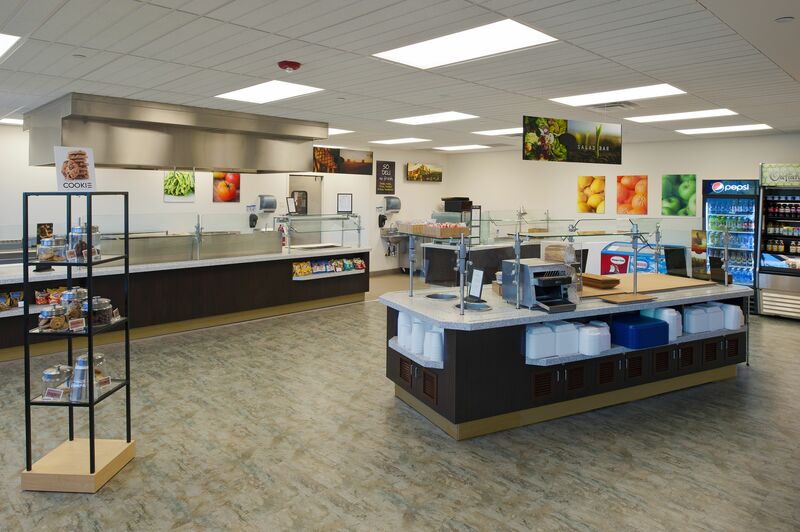 From the beginning of the project, RACP was involved with TMG, the Borough of Jessup and Blue Rock Construction. Blue Rock Construction adhered to the strict requirements of the Pennsylvania RACP grant program that enabled available funding to complete the project on time.